The United States (U.S.) is one of the leading economies in the world. The growth and advancement of the technological, social, and economic aspects in the U.S. have faced its share of challenges. For over three decades, there has been a minimal focus on the tax regime that is practiced in the U.S. The last major overhaul of a tax reform occurred in the 20th century. The government and other stakeholders have ensured that the marginal rates align with the credits and deductions through expansion and additions (Bown, 2017). As a result, there was a development of a tax system with marginal rates high at 39.6 and 35 percent of individuals and corporations respectively (Ryan, 2016). The tax brackets saw an increase in revenues and expenditures in 2015 by $3.25 trillion and $1.34 trillion respectively (Miller, 2017). With evidence such as the high rates and substantial tax expenditures, it is clear that the U.S. tax system is ripe for reforms. The need for change saw the development of the Trump Tax Plan (TTP). President Donald Trump wanted to modify the current federal tax code such that it would reduce the corporation and personal income tax rate, and abolish the estate tax (Nunns, Burman, Page, Rohaly & Rosenberg, 2016). Thus, there is need to further examine the TTP and its implication on the citizens and business community in the U.S.
TTP can be adequately understood by examining the origin of the idea. President Trump felt that the unemployment rates are rising, jobs are being shipped overseas, and may middle-class communities cannot sustain themselves (Haughton, Bachman, Bhattarai & Tuerck, 2016). Thus, it was necessary to develop a plan that addressed the discrepancies that were presented by the current tax regime. The middle-class Americans needed a tax relief. TTP argues that the achievement of the American Dream is only possible if the citizens have the power to keep more money in their pockets which will increase their after-tax wages (Amadeo, 2017). The simplification of the tax code would reduce the challenges Americans faced in the preparation of their taxes. On the other hand, growing the American economy would require the government to discourage corporate inversions, the addition of new jobs, and improving the competitive advantage of America globally (Batchelder, 2016). Thus, the growth of the economy would require a modification of the tax regime in place. In the long run, TTP would provide the much-needed relief for over 40 percent of poor Americans (Haughton et al., 2016). President Trump ensured that the plan is simple, bold, and achievable grounded on the conservative economic principles. Moreover, the plan is neutral because it does not add or reduce the existing deficit and debt (Ryan, 2016). 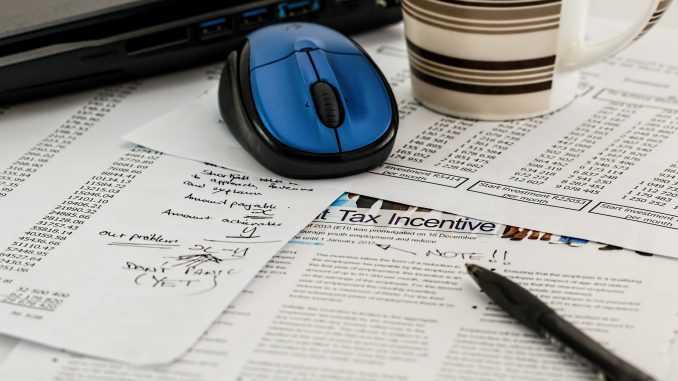 There was need to alter the individual or personal tax rates by consolidating and cutting them into three categories comprising of 12, 25, and 35 percent, doubling of the standard deduction, and elimination of personal exemption. The current tax system had seven rates of taxation fluctuating from 10 to 39.6 percent (Haughton et al., 2016). The taxable income was computed by adjusting income from capital and labor, expenses, and personal exemptions. The amount of the payable tax may be reduced if the taxpayer is eligible for the tax credits like earned income credit (Nitti, 2017). The process was tedious as portrayed by the necessity to fill the complex forms and related preparation costs. TTP focused on reducing the amount of non-zero tax rates from the existing seven to three (Miller, 2017). Under the new plan, there would be three tax rate brackets namely 12, 25, and 33 percent which will reduce the top marginal tax rate by approximately 20 percent (Nunns et al., 2016). TTP further increased the standard deduction for single filers from $6300 to $20000 while for married filing jointly from $12600 to $40000 (Haughton et al., 2016). The increase of the standard deduction ought to address the number of filers who are prone to itemization. The plan would cap the itemized deduction at $100000 and $200000 for single filers and the married couples filing jointly respectively (Haughton et al., 2016). The plan has acknowledged the negative implication of the itemized deductions. Hence, the elimination of the deductions except those that relate to the retirement savings, property taxes, charitable contributions, and mortgage interest (Nitti, 2017). TTP abolished the current Alternative Minimum Tax (Epstein, 2017). The child care expenses would also have a deduction. The plan retains the current special rate structure that deals with the dividends and capital gains (Bown, 2017). However, there is a repulsion of the current 3.8 percent tax rate on the net investment applicable to the dividends and capital gains (Haughton et al., 2016). TTP also eradicates the deductions for both state and local taxes. The approach sought to increase federal revenues by approximately $1.3 trillion. Residents who reside in high-tax states such as New York and California would be hurt by the TTP (Nunns et al., 2016). Therefore, the tax system proposed by Trump aims at cutting the taxes that every American face as means of expanding the consumer spending, encouraging the investment and saving culture which will improve the economy. With the industrialization around the world, U.S. continues to develop ways in which it can remain competitive. However, there has been shift or movement of the job market to other continents such as Asia due to the low level of taxation and large economies of scale such as cheap labor (Gale, Khitatrakun & Krupkin, 2017). A significant percentage of the American companies leave the country directly or through a technique such as corporate inversions (Ryan, 2016). It should be noted that the recipients of income in a given state come from the businesses that may be partnerships, S-corporations, and sole proprietorships. The pass-through income poses a significant challenge for the government because they are taxed at the recipient normal income tax rate that currently is at 39.6 percent (Miller, 2017). However, TTP allows the owners of the pass-through entities to select whether they should be taxed at a 15 percent flat rate or 33 percent of the ordinary personal income tax rates (Amadeo, 2017). The U.S. is known for its highest corporate tax rate. Large Corporations can avoid paying the high taxes because they have tax attorneys who can assist them. TTP was developed to help the small corporation by leveling the tax rate to 15 percent so that every player is satisfied with the remittance of the taxes (Nunns et al., 2016). The plan permits businesses to expenses their costs of depreciable assets rather than writing them off. The strategy was to encourage investment in the U.S. The current tax system imposes a death tax. The tax is focused on individuals who have achieved the American dream. Upon the death of an individual, the estate tax is subjected to the deceased, especially in cases where the monies exceed $5.45 million (Ryan, 2016). The tax starts at 18 percent and continually rises fast to 40 percent when the value of the estate exceeds $6.45 million (Ryan, 2016). However, tax attorneys and other experts have developed ways of avoiding the estate tax by paying 0.2 percent of the estate. The plan sought to eliminate the Obamacare tax which was on the investment income (Amadeo, 2017). The citizens were allowed to deposit close to $2000 to their Dependent Care Savings Account which would grow in a tax-free environment and enable them to adequately cater for their children education at the age of 18 (Epstein, 2017). Thus, the ability to reduce the corporate tax will provide a notable stimulus to the American economy leading to increment of new jobs and after-tax wages. TTP has faced its challenges from the citizens and other government stakeholders who tend to disapprove of the logic. The Tax Policy Center asserts that the plan would give rise of the national dues by $6 trillion from $20 trillion over the next decade (Batchelder, 2016). In the long run, the increasing debt would affect the economic growth. It is clear that TTP is short-term and seek to satisfy the current needs and wants of the Trump administration (Gale, Khitatrakun & Krupkin, 2017). The investor may get concerned in the future when the debt-to-GDP ratio is above 100 percent. The cutting of the personal taxes on income would affect the annual revenue (Amadeo, 2017). Thus, the country will be forced to borrow money to finance projects that do not have enough resources. A closer examination of the exemptions and deductions TTP creates room for the wealthy rather than helping the middle class (Epstein, 2017). Therefore, it is crucial to assess the impacts of the plan on the people by opening up channels for public participation as means of identifying the loopholes that are detrimental. The slow development in modifying the American tax system shows that the process is an uphill task. The reliance on the supply side economics which stand from the perspective that when people and corporations are given a tax cut, they will create a job is a shallow logic. The strategy fails to drive the much-needed demand and would not create the jobs. There is need to assess the plan and ensure that all affected parties are aware of the changes or reforms. No More Food for Adult Migrants in Hungary: Is it a Good or Bad Idea?